Andrew Scheer isn’t so sure about that Kellie Leitch tweet. 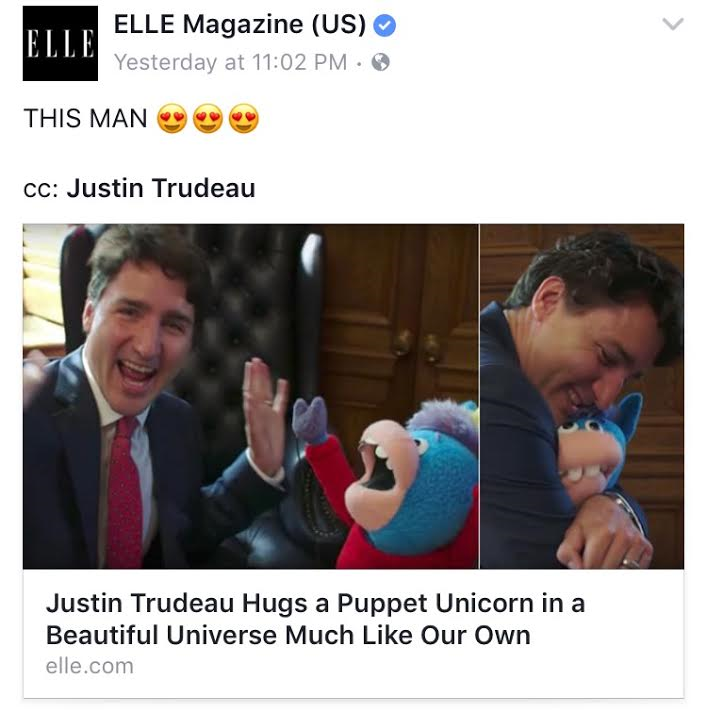 The Conservative leader ducked questions about his colleague sharing a column by Candice Malcolm, headlined “The real legacy of Trudeau’s Syrian refugee program.” But the New York Times probed the story of the Fredericton newcomer who beat his wife with a hockey stick—who asked through an interpreter why he wasn’t told it was illegal in Canada before pleading guilty. 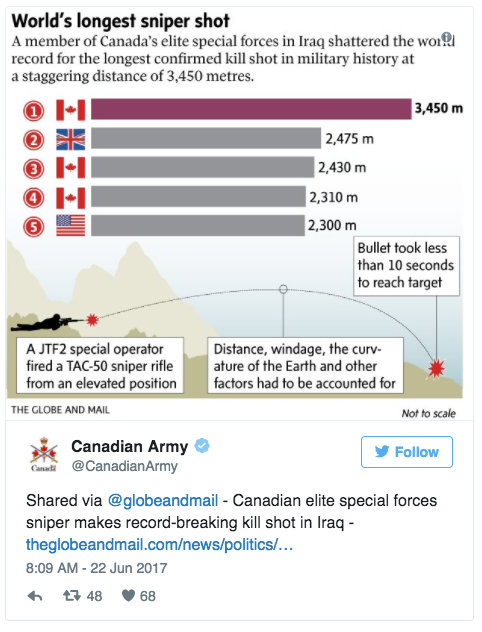 “Breathe in, out, in, out, find a natural pause and then squeeze the trigger.” Robert Fife of the Globe and Mail describes the success of a sniper responsible for the longest kill shot in military history: three-and-a-half kilometres. It disrupted an ISIS attack on Iraqi security forces—although the military source explains that it couldn’t be done if the shooter wasn’t accompanied by an observer. What secrets lurk in the heart of the fidget spinner salesman? 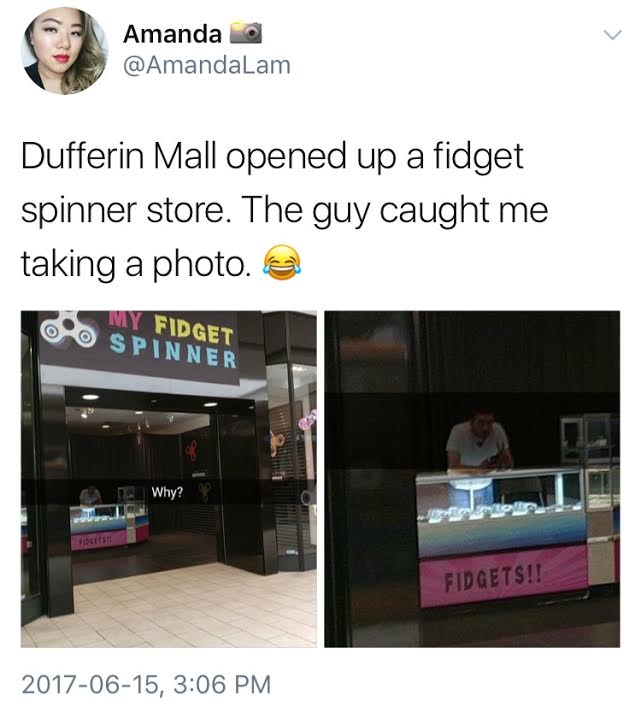 Dufferin Mall's new tenant My Fidget Spinner took over HMV's space earlier this month, generating the periodic observation along the lines of "I don't want to live on this planet anymore." But like any demanded product, big-box competition was sure to follow, as Toys R Us Canada unveiled a new slogan: "We have a widget for however you fidget." No wonder the spinner-centric clerk looks rather agitated from a distance. The last days of the capitalized Internet. A year ago, Associated Press made lower-casing “internet” and “web” the new standard for U.S. media, but the Canadian Press remained a holdout—as reminded in stories about Ottawa rejecting a tax on the Internet. 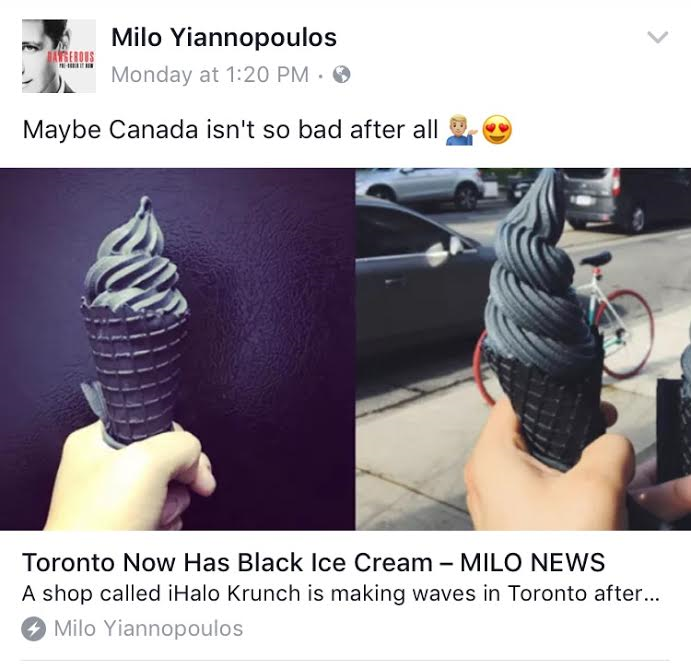 (Meanwhile, several outlets have broken with CP by capitalizing Aboriginal, Black and Indigenous.) But the keeper of the stylebook implies it'll change soon. The future of the supermarket near Christie Pits looked uncertain due to a real estate listing for its land—but with a decade left on the lease, it's hoping to buy the property.